It was Friday, August 17th, 8pm, when we decided to make the 5 hour trip from London England to the Preston England temple. I was with my son Harrison on day 4 of a 5 day trip through France and England. We were exhausted, and I was tempted to wait for another trip to visit this temple, but something urged me to go, regardless. We arrived in the area at 1:30 am, and I was amazed to see the exterior temple lights were still on. 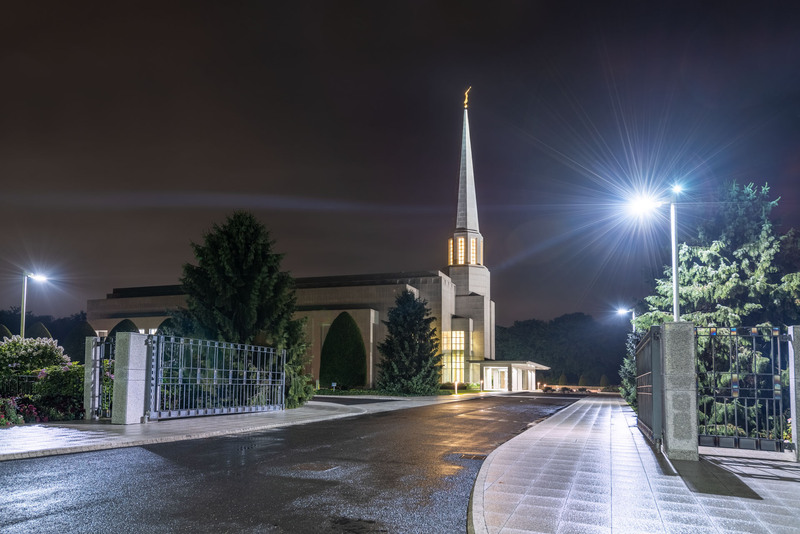 It was raining lightly and, I decided to park the car and walk up the winding road through the trees to the temple to take some night pictures. As I neared the top of the road I caught my first glimpse of the temple grounds. To my amazement I thought I saw somebody standing outside the front door, dressed in white, hands together and legs apart, like they were just waiting for me to arrive. The trees blocked my view again and I wondered to myself who would be there at that hour, dressed in white? At the same time, there was something familiar about his stance and his rounded shoulders, and I thought to myself that it looked like my grandfather. I finally reached the top of the road, where I could fully see the temple entrance. Strangely, there was no one there anymore. There wasn’t even a post or pillar in that spot, nothing that could have been mistaken for a person. As I approached the temple gates I was amazed to find them wide open, as if I was expected. I spent about 20 minutes taking pictures of the temple and then headed to a nearby hotel for a few hours of sleep, before returning at sunrise. I returned to the temple at 6:00am Saturday morning. The gates were open and I walked around the temple taking pictures as the sky brightened to dawn. As I walked, I puzzled about the person I saw. My grandfather, Robert A. Boyd (I am named after him), had served 7 missions with my grandmother, most of them temple missions. He had passed away in 2005. I felt sure it was him I had seen, but I could not figure out why, of all my travels, this would be the time I would feel his presence. He was a sealer, and I knew they had worked in the London Temple, but why would I see him at the Preston Temple? 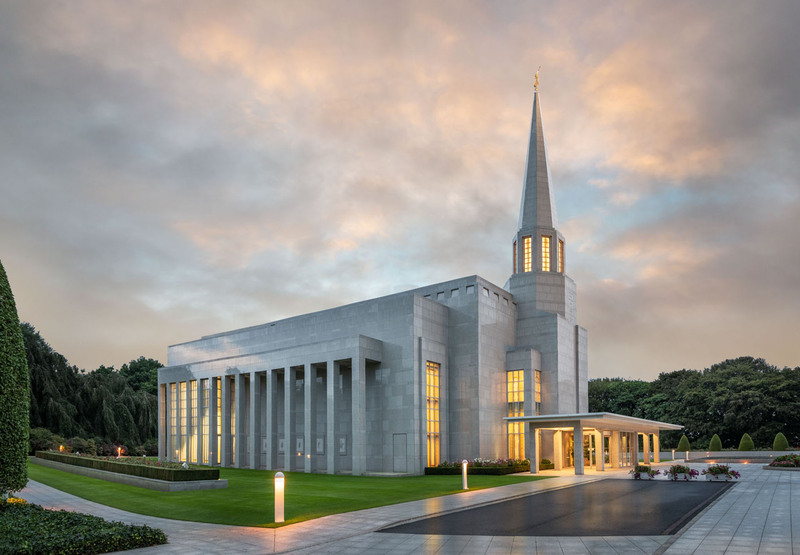 And then it hit me, that the Preston Temple serves the Ireland area too. The Boyd’s are from a small village in Northern Ireland called Ballywalter, and this their temple. My grandfather is probably working on the other side with my ancestors who lived there, and there are no doubt other distant relatives still living there. As I was pondering these things, a temple worker approached me to say hello while he waited for the temple doors to be unlocked. We visited for a bit, and I shared with him that my ancestors were from Ireland, and this would be their temple. He then told me that there were 60 people from the Belfast Ireland Stake that would be using the baptistry later that day. At that moment I felt all of this wasn’t a coincidence. I felt my grandfather’s approval for my work visiting and photographing temples, and I knew that he was focused on missionary work with our ancestors. I travel at my own expense, doing a work that I felt called to do, in spite of the adversity that always seems to surround temples and temple work. Every once in a while, I’m blessed to see that what I do matters. That day’s events were a confirmation for me that I am doing what I am supposed to do. 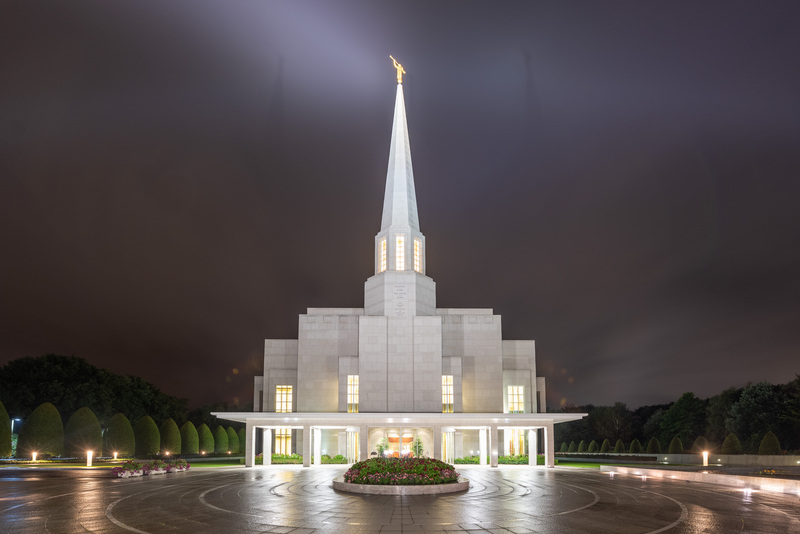 We were leaving England that evening, so I couldn’t meet the group from the Belfast Ireland Stake, but I guessed this was probably an annual trip, so it was amazing to be at the temple the same day. And if you are wondering, I looked up the stake boundaries of the Belfast Ireland stake, and sure enough, Ballywalter, my ancestral home, is part of that stake.